Day three of Knitting & Crochet Blog Week is about infographics. These are the fancy graphs that newspapers and TV broadcasters use to show numbers and statistics. Have you heard the phrase; “Lies, damned lies and statistics”? I generally think infographics are a great way of lying with statistics, you can make them imply whatever you want. You’re not going to believe my infographic now are you… I promise it’s totally accurate (ish). Having done a masters in publishing, I do find the whole concept of using different media for different publications interesting. For example, something that works in book form might not work as a magazine – but magazines tend to get to the consumer a lot quicker so can keep you updated with the latest fashions/news. Also, since I’m trying to get a job in publishing, buying books and magazines is homework, right? Therefore, I decided to do some investigative journalism and run the numbers on my crafting library. Right, onto the infographics, (because you all came here for the stats, right?) above, you should see a lovely pie-chart. It shows that I own more craft magazines (16) than any other single medium of craft publishing. This is probably because I have a subscription to The Knitter… Knitting books come a close second with 14. The categories of Crochet and Other (quilting and sewing) have 5 each whereas e-books come in last place with a dismal 2. I may be cheating though as I’m only counting e-books that are actually on my e-reader. If I counted all the digital patterns I have, it would almost definitely be the biggest category (and that’s not including my queue on Ravelry). It’s day two of Knitting & Crochet Blog Week, that means it’s time to conjure up a monkey-inspired project. A quick search on Ravelry shows there are 1093 patterns that are named or tagged with “Monkey”. That’s quite a lot. 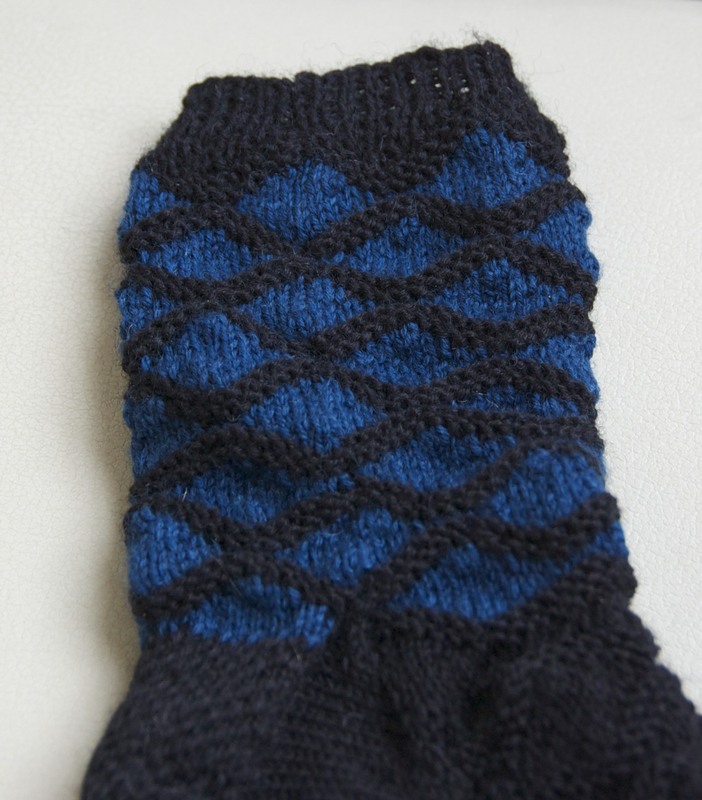 With my current addiction to sock-knitting, you might think I’d go for Cookie A‘s Monkey sock pattern. However, since I do tend to go for a challenge, I’m actually thinking of designing a toy monkey. Blimey, there are 485 patterns that include the word “Monkey” and the tag “Toy”. 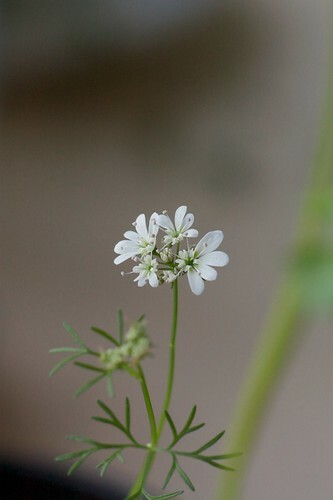 (Photo by Yblieb and licensed under Creative Commons). A monkey made in a fluffy yarn (Kidsilk Haze held double or quadruple, perhaps?) would be less durable but so snuggly. I don’t think I’d like to do battle with Kidsilk Haze and a crochet hook so a knitted pattern would probably work better. Having knit Ysolda Teague‘s Elijah the elephant pattern a couple of times, I think I could modify it to make it more monkey-shaped (plus with added tail). Perhaps I’ll do some sketching and see if a fuzzy Japanese Macaque would be possible. What mascot would you knit? Anyone knitting peacocks will impress me a lot and I’d definitely be tempted to knit a manatee! Happy Knitting & Crochet Blog Week! If you already follow knitting blogs, you may know about the fourth annual Knitting & Crochet Blog Week organised by Eskimimi. If not, feel free to go read about it, I’ll wait here for you. The first topic this year is about knitting styles. Eskimimi has proposed four different houses (like at Hogwarts) but there is no sorting hat here. I think my knitting style falls into the House of Monkey. I not only like a challenge but also enjoy learning new techniques. Once I get interested in something, I want to find out everything. This may explain why I’m knitting my sixth sock of the year (two pairs and one and a half singles so far). I was given the Interweave book: Favorite Socks (it’s American, it’s meant to be spelt like that) for Christmas and have been learning new techniques. First up I made a pair of lace socks. These were nice to knit, the lace kept them interesting but the chart was simple enough to memorise once the pattern was established. 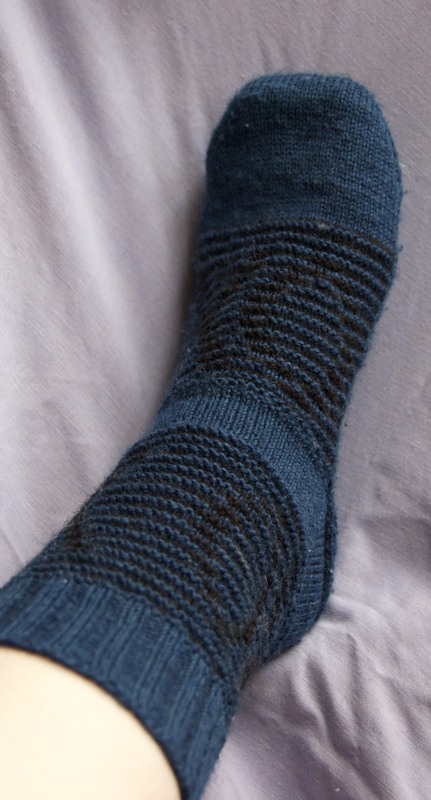 The pattern is Embosses Leaves from the Interweave Favorite Socks book. The yarn is pure wool I picked up from Namolio at Woolfest last year. They are really cosy despite being lacy. The lace socks were soon followed by some illusion knitting socks. Rows of knitting and purling with the pattern stitches reversed (knit on purl rows and purl on knit rows) means that the pattern is only really seen from an angle. It’s an interesting technique (though the charts require a lot of attention) and makes me want to design my own pattern… Again the pattern (Hidden Passion) is in the Interweave book. I used two colours of Opal 4-ply and now understand why Opal is so well-loved. It’s smooth and strong and the socks just feel like they’re going to last for ages. Feeling confident, I started looking around for something to make with my leftover Opal yarn. 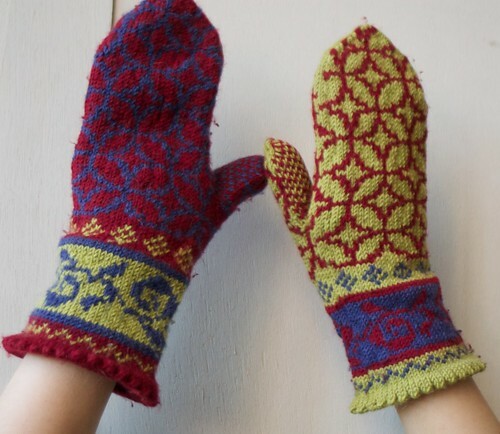 Something that would look good in two colours but without being *just* colourwork. Searching through the Knitty archives, I came across the Diversion pattern. 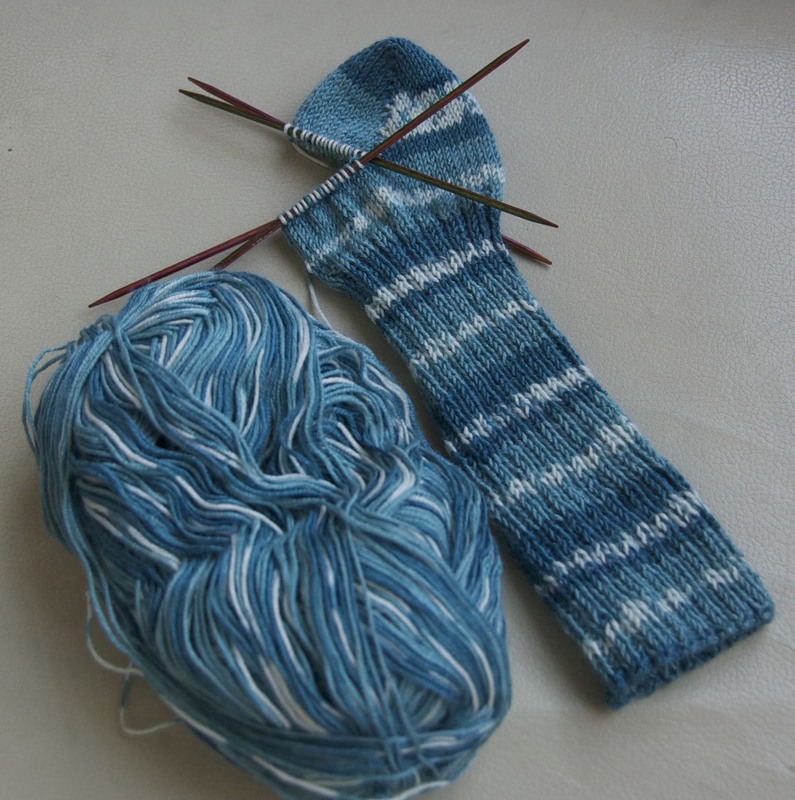 Designed with a self-striping sock yarn, I thought they might look good in two contrasting colours. The short rows give a striking texture. I’m pretty it will be less lumpy when blocked though this one is going to have to wait until I’ve knitted it’s pair. It’s not the sort of pattern I can do whilst thinking about other things and I wanted something more straightforward for knitting out and about or in front of the TV. Which is where this sock comes in (and takes me back to Favorite Socks). I wanted a straight-forward pattern but I didn’t want to stop learning. 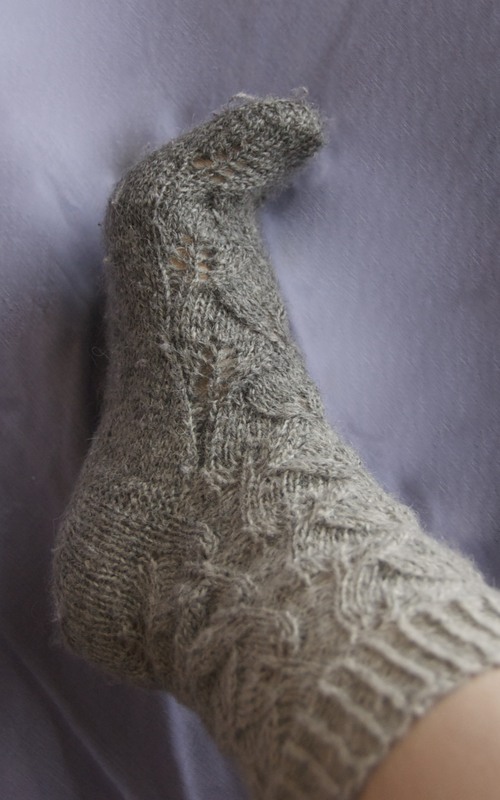 This pattern (Priscilla’s Dream Socks) uses short row heels and short row toes which I’ve never done before. It also uses a new (to me) cast-on – the Old Norwegian cast-on. It’s very similar to a normal long-tail cast-on but is somehow even more elastic. In it’s relaxed state, the cast on is 7cm across (so about 14cm circumference) but easily stretches to 17cm across (32cm circumference). In comparison, the Hidden Passion sock has a relaxed cast-on edge of 7.5cm but only stretches to 14cm. This sock is a wool/bamboo/poly blend. It’s really soft and smooth with a nice shiny colour. The shop I bought it from said it was Opal but it didn’t have a ball band and I can’t find it on the internet. It looks like Sockenwolle.de do sell bamboo blend yarns but it’s not clear if they’re on sale in the UK. Hmm. The (probably) bamboo blend feels like it will be nice and cool for Summer, which leads me onto a future sock-knitting plan. As a Scot, my boyfriend wears a kilt sometimes. However wooly kilt hose are really good at insulating. This is probably a good thing if you live in the Highlands on a croft in a time before electricity and central heating – but in wedding venues and ceilidhs it can be a bit uncomfortable. So, bamboo sock yarn could be the answer. Now I just need to invent a pattern (because following someone else’s would just be too easy) and find vast quantities of yarn. So, what is your knitting style? Are you a monkey-brain too, fascinated by learning new techniques? A bee – flitting from one enticing project to the next? A manatee – wanting snuggly comfy projects? 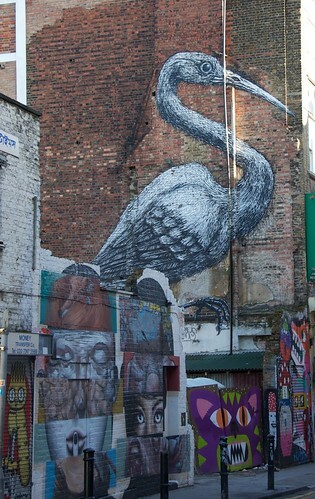 Or a peacock – excited by gorgeous end products? That’s the great thing about knitting, no matter what your style, whether you want something straight-forward or something complex, there is always a gorgeous pattern out there. The world is still feeling very wintry. Or at least this part of it is. Frosty mornings and occasional snow flurries have meant tea and knitting have won out over photography recently. With the change to British Summer Time, things are starting to look up. It is still bitterly cold but having dinner during daylight hours reassures me that Spring will eventually appear. 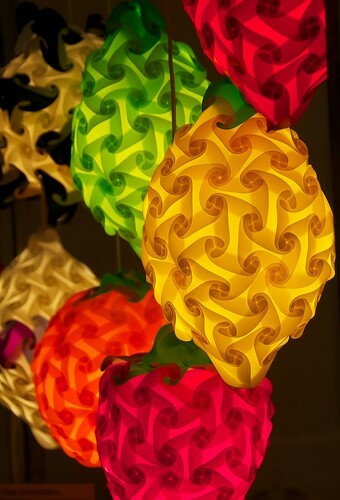 The extra light is also making me think about photography again. Photography is a hobby I have dabbled in for over 10 years now. A new lens for Christmas has made me think an upgrade to my camera body might be a good idea. I do love my Nikon D40, but it does have some drawbacks. I could go out and spend all my money on a new camera… but, since I recently left my job in order to gain experience in publishing, this seems like something I should consider carefully. In the meantime (i.e. to distract myself from heading straight to the camera shop) I’ve decided to practise my photography, expand my skills and really think about what I want from my camera. 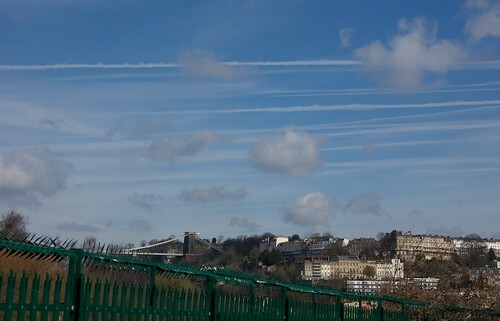 Bristol is quite photogenic with a bit of sunshine so it hasn’t been hard to take some nice snaps. But to take a good photograph is a whole other matter. 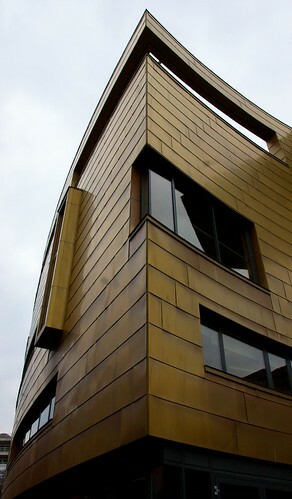 With a bit of planning (and some judicious editing afterwards) I’ve got a few photographs that I’m willing to share. As much as adventures to London are fun, sometimes it’s nice to stay at home to bake, knit and drink copious amounts of tea. In the Guardian yesterday I saw the honey recipes and couldn’t resist. 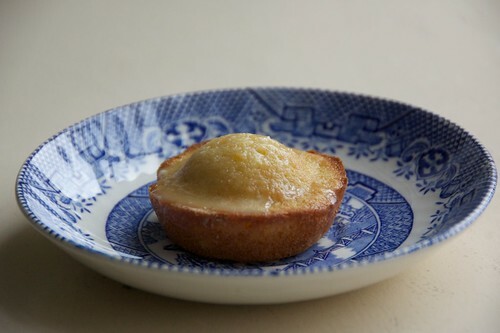 The madeleines intrigued me as I’ve never made them before. Having all the ingredients helped too (well, I switched the orange for lemon, but apart from that). I was really pleased with how they turned out, especially since I don’t have a Madeleine tin and the mixture was looking suspiciously un-aerated during mixing. The recipe is here, but be warned, the amount of icing suggested is huge. I only made half the quantity and still ended up with plenty to eat straight from the pan – well I couldn’t waste it, could I? 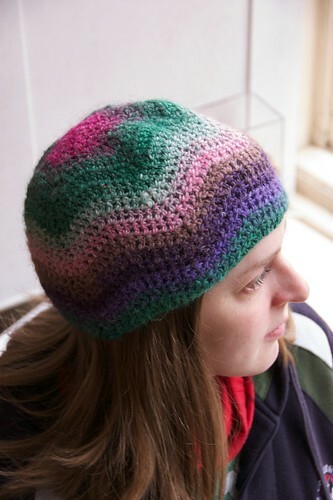 As well as baking (and eating) tasty honey lemon buns, I finally got round to getting photos of a hat I made last winter. As anyone who crafts and reads crafty blogs knows, crochet ripple blankets are gorgeous. Personally I get a bit twitchy about buying enough yarn to make a blanket though. So, some time last winter, I decided it was about time I learnt to crochet, and where better to start than with a bit of light rippling? 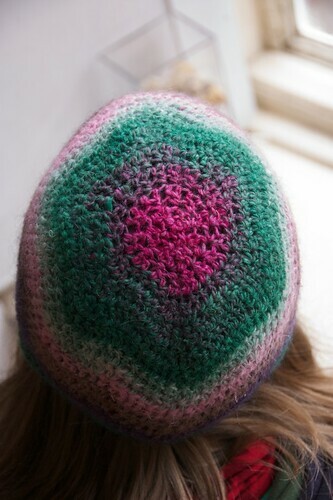 I had a ball of Noro sock yarn and decided a hat would be a fun thing to make – small enough to use only one ball of wool, big enough to learn to ripple. The only problem was, apparently no-one out there had done this before (or if they had, I couldn’t find it). There was only one thing to do – make it up as I went along. For details on how to crochet your own rippled things, check out Lucy’s brilliant instructions at Attic24. For the hat, I crocheted a chain that went around my head and then rippled. Once deep enough (10 rounds) I added an extra decrease for each pattern repeat. I did one round of this then a couple of rounds of 3 decreases and no increases for each pattern repeat. By this point the hat was starting to look hat-shaped so I decreased all the way round for three rounds and finally sewed up the last few stitches. Since the hat, I have actually made a ripple blanket. Baby-sized in blue and grey. I was surprised by how quickly it grew – but then babies don’t stay baby-sized for long so I had a deadline. Living in Bristol means that I’m a lot closer to London than before. After several months of being down south, I finally got round to visiting the capital. Most of my weekend was spent eating all of the tasty things but I did manage to take a few photographs as well. 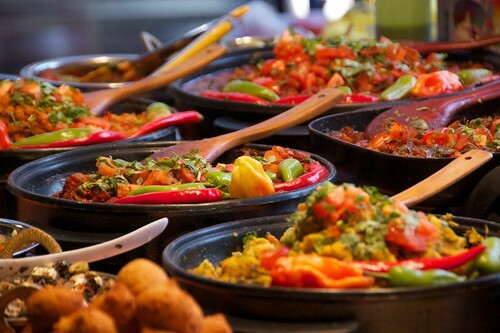 The markets around Brick Lane were packed full of interesting clothes, furniture and random curios, but it was the food we had gone for. 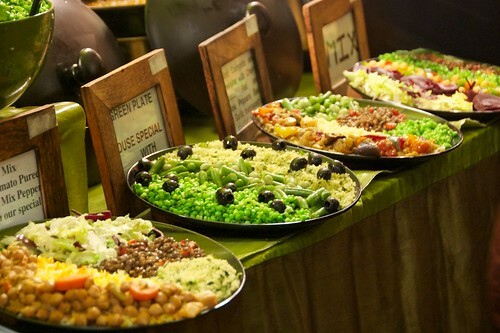 Initially it was a bit overwhelming, too many interesting stalls to choose from. 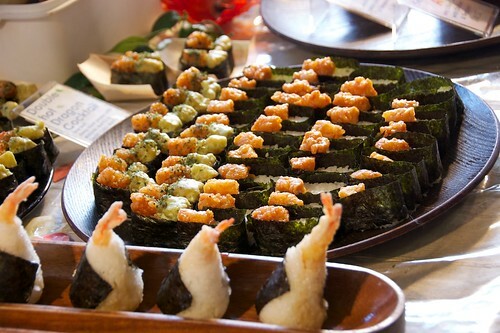 Each one decorated with beautifully arranged spreads to tempt in the crowds. Since moving to Bristol I seem to be busy all the time and haven’t been reading as much as normal. It was nice to have a couple of hours on the train to sit and read. Since today is the 200th anniversary of Jane Austen’s Pride & Prejudice I think I’ll give it another read. My blog is another thing suffering from neglect recently. Recently I have been knitting and baking rather than photographing and blogging. Now I just need to convert the knitting and baking into knitting and baking blogposts. Perhaps then life will feel slightly more balanced. One of my favourite parts about moving to a new city (Bristol) is that I am now only 10 minutes from my local yarn shop (Get Knitted). Not only that, but it is a really good yarn shop and has a knitting group. Where I lived before, my “local” knitting group was a good half hour away by bike so was a struggle after work. Being mostly self-taught at knitting, I’ve not really had many in depth knitterly discussions. Going along to the group in Bristol makes me notice things about my own crafting choices. We were speaking about socks, mittens etc. and someone asked me about my odd mittens. When I got home and pulled on my fingerless knitting mittens, I remembered that those were odd too. 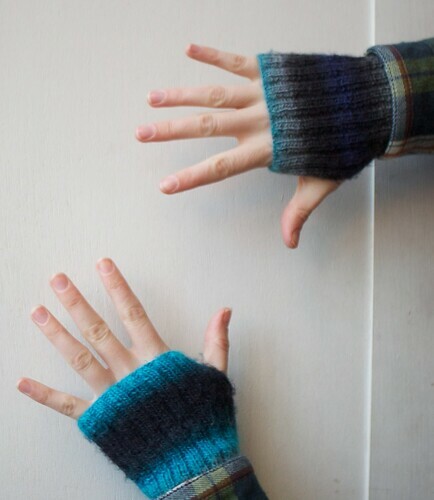 Knitting gives me cold wrists so I whipped these up a few years ago out of a random scrap of yarn. 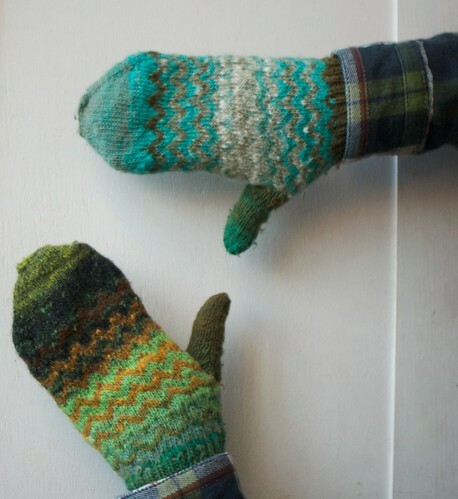 Mismatched mittens are great, I never forget which goes on which hand. Plus, sometimes it’s nice to have handknits noticed, even if it’s because they’re odd. I’m really enjoying Autumn, the colours are great but also I get to wear my knits! 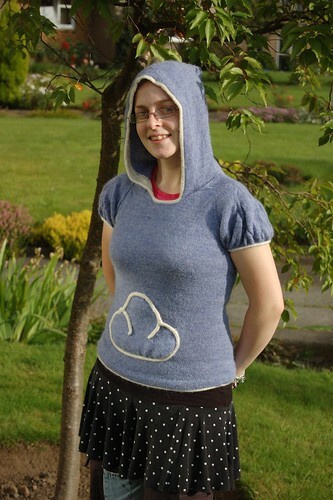 I finished this jumper (Get Off My Cloud by Kate Davies) at the height of Summer a couple of years ago. Despite the short sleeves it is really warm. It’s great having suitable weather to wear it out and about.